Media marketing firm Simulmedia has closed a $9.25 million round of financing from existing investors, GigaOM has confirmed. The financing comes as Simulmedia, which was founded by ad veteran Dave Morgan, ramps up operations and moves from working on primarily experimental pilot programs to full-blown TV ad campaigns. Simulmedia basically applies Internet-style targeting to traditional TV, telling programmers and their agencies when they should run promos for shows. The company’s proprietary technology platform gathers anonymous data from set-top boxes and combines that with its own algorithms to predict which viewers are most likely to tune in to TV shows and to target ads to them. During the promotional run-up to the premiere of the new Hawaii 5-0 series, for instance, CBS’s (s CBS) ad agency used the platform to identify likely viewers for the show. Simulmedia searched for viewers who liked programming similar to Hawaii 5-0, were available to watch the show during the Monday 10 p.m. time slot and weren’t terribly loyal to competing shows on other networks. Once it established the target audience, it then worked to make sure CBS’ agency could find ad inventory to reach those viewers. 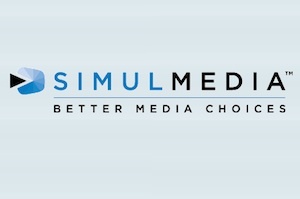 Simulmedia was founded by serial entrepreneur Morgan, who also founded Tacoda (which was bought by AOL (s aol) in 2007) and Real Media. In a phone interview, Morgan said the new money will be used to build out Simulmedia’s data platform and targeting engine, while also investing a bit in its sales organization. The company currently has about 35 employees, but it doesn’t expect to ramp up hiring substantially. The funding also comes as Simulmedia is beginning to prove out the value provided by his platform. According to Morgan, the company had worked on about 10 campaigns last spring, but has probably done about 65 campaigns since then. The number of clients it works with has also increased from just three a year ago to more than 20 today, Morgan said. Simulmedia has now raised more than $20 million, which includes an $8 million Series B round led by Time Warner Investments (s twx) that was announced last April. Existing investors also include Avalon Ventures and Union Square Ventures.